Trevor John Immelman (born 16 December 1979) is a South African professional golfer who has played on the PGA Tour, European Tour and Sunshine Tour. He won his sole major championship at the 2008 Masters Tournament. The PGA Tour is the organizer of the main professional golf tours played primarily by men in the United States and North America. It organizes most of the events on the flagship annual series of tournaments also known as the PGA Tour, as well as PGA Tour Champions and the Web.com Tour, as well as PGA Tour Canada, PGA Tour Latinoamérica, and PGA Tour China. 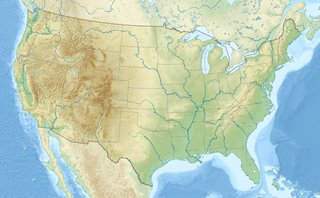 The PGA Tour is a nonprofit organization headquartered in Ponte Vedra Beach, Florida, a suburb of Jacksonville. Immelman was born in Cape Town, South Africa. Born into a golfing family. His father, Johan, is the former commissioner of the Sunshine Tour in South Africa, while his older brother Mark is a broadcaster, teaching pro and collegiate golf coach. Trevor took up golf at the age of five. He attended Hottentots Holland High School. He won the U.S. Amateur Public Links in 1998. 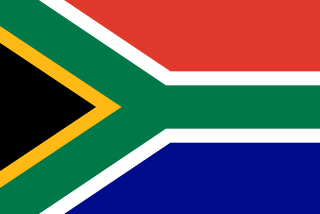 The Sunshine Tour is a men's professional golf tour based in Southern Africa. For much of its history it was known either as the South African Tour or the FNB Tour, but it rebranded itself in an attempt to broaden its appeal. A large majority of the tour events are still staged in South Africa. Mark Immelman is a South African sportscaster, golf coach and author. He is currently the host of the On the Mark podcast on pgatour.com. He also covers live golf for the PGA TOUR on their live-streaming mobile app, PGA TOUR Live, on SiriusXM PGA TOUR Radio and stars in golf instruction videos for CBS Sports. In addition to his broadcasting career, he's also the Director of Golf at Columbus State University and the author of Scandalously Simple: The Easy Way to Accurate Golf Shots. Immelman turned professional in 1999. In 2000 he played mainly on the second tier professional tour in Europe, the Challenge Tour, and finished tenth on the Order of Merit. He became a full member of the European Tour in 2001 and has made the top twenty of the Order of Merit three times. He has four wins on the European Tour, and in 2004 became the first man to successfully defend the South African Open title since Gary Player in the 1970s. The Challenge Tour is the second-tier men's professional golf tour in Europe. It is operated by the PGA European Tour and, as with on the main European Tour and the European Senior Tour, some of the events are played outside Europe. World ranking points are awarded for high finishes in Challenge Tour events. Most Challenge Tour events give 12 OWGR points to the winner, with those co-sanctioned by the European Tour earning 18 points. The Challenge Tour Grand Final gives 17 points to the winner. The South African Open Championship is one of the oldest national open golf championships in the world, and is one of the principal tournaments on the Sunshine Tour. Since 1997 it has also been co-sanctioned by the European Tour. Gary Player DMS, OIG is a retired South African professional golfer who is widely considered to be one of the greatest golfers ever. 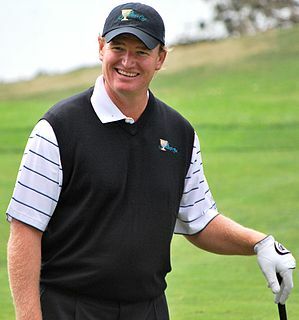 During his career, Player won nine major championships on the regular tour and nine major championships on the Champions Tour. At the age of 29, Player won the 1965 U.S. Open and became the only non-American to win all four majors in a career, known as the career Grand Slam. At the time, he was the youngest player to do this, though Jack Nicklaus (24) and Tiger Woods broke this record. Player became only the third golfer in history to win the Career Grand Slam, following Ben Hogan and Gene Sarazen, and only Nicklaus and Woods have performed the feat since. Player has won 165 tournaments on six continents over six decades and was inducted into the World Golf Hall of Fame in 1974. In 2003 Immelman won the WGC-World Cup for South Africa in partnership with Rory Sabbatini. In 2005 he was a member of the losing International Team at the Presidents Cup. He has been playing with increasing frequency on the PGA Tour after receiving a 2-year PGA Tour exemption for 2006 and 2007 on account of this Presidents Cup appearance. In 2006 Immelman won his first PGA Tour event at the Cialis Western Open, a result that moved him into the top 15 in the Official World Golf Rankings. He won the Sunshine Tour Order of Merit in 2002/03. Rory Mario Trevor Sabbatini is a South African-born professional golfer. In 2019, Sabbatini changed his citizenship to Slovakia. The Presidents Cup is a series of men's golf matches between a team representing the United States and an International Team representing the rest of the world minus Europe. Europe competes against the United States in a similar but considerably older event, the Ryder Cup. The Royal Montreal Golf Club is the oldest golf club in North America, and the oldest in continuous existence. It was founded in Montreal by eight men in 1873. Permission was granted by Queen Victoria to use the prefix "Royal" in 1884. On 13 December 2007, Immelman withdrew from the South African Airways Open due to severe discomfort around his ribcage area and a problem breathing. He went into surgery the following Tuesday, 18 December 2007, and doctors discovered a lesion approximately the size of a golf ball on his diaphragm. (Immelman remarked in an interview on the obvious irony of the size of the lesion). It was diagnosed as a calcified fibrosis tumor. After more tests they discovered that it was benign. Nevertheless, treatment and recovery caused him to miss the first eight weeks of the 2008 PGA Tour season. However, Immelman came back to win the 2008 Masters Tournament. Despite scoring a double bogey on the 70th hole, the par 3 16th, Immelman finished with a score of 8 under par, beating favourite Tiger Woods  by three strokes. The thoracic diaphragm, or simply the diaphragm, is a sheet of internal skeletal muscle in humans and other mammals that extends across the bottom of the thoracic cavity. The diaphragm separates the thoracic cavity, containing the heart and lungs, from the abdominal cavity and performs an important function in respiration: as the diaphragm contracts, the volume of the thoracic cavity increases, a negative vacuum is created which draws air into the lungs. In June 2009, Immelman announced he would withdraw from the U.S. Open due to tendonitis in his left wrist and elbow,  which plagued him for much of the 2009 and 2010 seasons. As the 2013 PGA Tour neared its conclusion, Immelman's winless streak extended to five years; he was forced to play in the Web.com Tour Finals after he failed to make the FedEx Cup playoffs and his five-year exemption for winning the Masters expired. Immelman won the Hotel Fitness Championship, the first of four Web.com Tour Finals tournaments, and finished the Finals in sixth place to regain his PGA Tour card for 2014. Since 2017, Turner Sports has utilized Immelman as an analyst for coverage of the PGA Championship on TNT. 2018 saw a resurgence in Immelman's career. Focusing on the European Tour, he made the cut in 8 out of 13 events, with a best finish of T3 at the Aberdeen Standard Investments Scottish Open. In the event he had a chance to qualify for The Open Championship via the Open Qualifying Series, but missed an eight foot birdie putt on the last and lost out to Jens Dantorp by world rankings. However with the finish, Immelman moved from 1,380th in the world to 420th, his highest ranking since 2014. Immelman finished 77th on the Race to Dubai standings, regaining full status for the 2019 season. Theodore Ernest Els is a South African professional golfer. A former World No. 1, he is known as "The Big Easy" due to his imposing physical stature along with his fluid golf swing. Among his 71 career victories are four major championships: the U.S. Open in 1994 at Oakmont and in 1997 at Congressional, and The Open Championship in 2002 at Muirfield and in 2012 at Royal Lytham & St Annes. He is one of six golfers to twice win both the U.S. Open and The Open Championship. Retief Goosen is a South African professional golfer. His main achievements were winning two U.S. Open, in 2001 and 2004, and heading the European Tour Order of Merit in 2001 and 2002. He was in the top ten of the world rankings for over 250 weeks between 2001 and 2007. He was elected to the World Golf Hall of Fame, class of 2019. Adam Derek Scott is an Australian professional golfer who plays mainly on the PGA Tour. He was the World No. 1 ranked golfer, from mid-May to August 2014. He has won 29 professional tournaments around the world, on many of golf's major tours. His biggest win to date was the 2013 Masters Tournament, his first major championship and the first Masters won by an Australian in its history. Other significant wins include the 2004 Players Championship, the 2011 WGC-Bridgestone Invitational and the 2016 WGC-Cadillac Championship. He was the runner-up in the 2012 Open Championship, leading by four strokes with four holes to play before bogeying all of them to lose the title by a stroke to Ernie Els. Nicholas Raymond Leige Price is a South African-born Zimbabwean professional golfer who has won three major championships in his career: the PGA Championship twice and The Open Championship in 1994. In the mid-1990s, Price reached number one in the Official World Golf Ranking. He was inducted into the World Golf Hall of Fame in 2003. Charl Adriaan Schwartzel is a South African professional golfer who plays on the PGA Tour, European Tour, and the Sunshine Tour. He has won one major title, the Masters in 2011. Schwartzel's highest world ranking has been number six, after finishing in a tie for fourth at the WGC-Cadillac Championship in 2012. Craig David Parry is an Australian professional golfer. He has been one of Australia's premier golfers since turning professional in 1985, and has 23 career victories, two of those wins being events on the PGA Tour; the 2002 WGC-NEC Invitational and the 2004 Ford Championship at Doral. Anders Rosenberg Hansen is a semi-retired Danish professional golfer. Richard Sterne is a South African professional golfer who plays on both the European and Sunshine Tours. Yang Yong-eun, or Y. E. Yang, is a South Korean professional golfer currently playing on the PGA Tour, where he has won twice, including most notably the 2009 PGA Championship where he came from behind to defeat Tiger Woods. He is the only Asian-born man to have won a major championship. This article summarizes the highlights of professional and amateur golf in the year 2007. Ross Daniel Fisher is an English professional golfer who plays on the European Tour, where he has won five times, including the 2009 Volvo World Match Play Championship at Wentworth. Branden John Grace is a professional golfer from South Africa who currently plays on the European Tour, the PGA Tour, and the Sunshine Tour. In 2012, he became the first player in the history of the European Tour to win his first four European Tour titles in the same year. The 2007 WGC-CA Championship was a golf tournament that was contested from March 22–25 over the Blue Monster Course at Doral Golf Resort & Spa in Doral, Florida. It was the eighth WGC-CA Championship tournament, and the second of three World Golf Championships events held in 2007. It was the first tournament under the sponsorship of CA, Inc. and took the place of the Ford Championship at Doral on the PGA Tour schedule. The 2008 WGC-CA Championship was a golf tournament that was contested from March 20–23 at Doral Golf Resort & Spa in Doral, Florida. 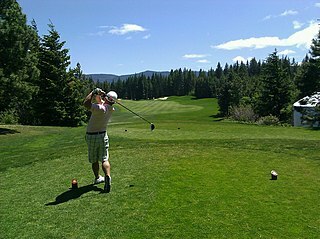 It was the ninth WGC-CA Championship tournament, and the second of three World Golf Championships events held in 2008. The 2007 WGC-Bridgestone Invitational was a golf tournament that was contested from August 2–5, 2007 over the South Course at Firestone Country Club in Akron, Ohio. It was the ninth WGC-Bridgestone Invitational tournament, and the third of three World Golf Championships events held in 2007. The 2009 WGC-Bridgestone Invitational was a professional golf tournament held August 6–9 over the South Course at Firestone Country Club in Akron, Ohio. It was the eleventh WGC-Bridgestone Invitational tournament, and the third of four World Golf Championships events held in 2009. The 2008 WGC-Bridgestone Invitational was a golf tournament that was contested from July 31 – August 3, 2008 over the South Course at Firestone Country Club in Akron, Ohio. It was the tenth WGC-Bridgestone Invitational tournament, and the third of three World Golf Championships events held in 2008. The 2003 WGC-World Cup took place November 13–16 at the Kiawah Island Golf Resort, Ocean Course in Kiawah Island, South Carolina, U.S. It was the 49th World Cup and the fourth as a World Golf Championship event. 24 countries competed and each country sent two players. The prize money totaled $4,000,000 with $1,400,000 going to the winning pair. The South African team of Rory Sabbatini and Trevor Immelman won. They won by four strokes stroke over the English team of Paul Casey and Justin Rose. ↑ "The Presidents Cup – Past Results". PGA Tour. Archived from the original on 2 February 2014. Retrieved 28 January 2014. ↑ "Immelman undergoes surgery to remove growth on his diaphragm". PGA Tour. 18 December 2007. Archived from the original on 20 December 2007. ↑ Dorman, Larry (14 April 2008). "Immelman Survives Pressure to Win Masters". The New York Times. Retrieved 26 May 2010. ↑ "Immelman withdraws from U.S. Open due to injury". PGA Tour. 14 June 2009. ↑ Fluker, Anjali (7 September 2016). "Former NFL player sells Winter Park luxury home for $4.55M". Orlando Business Journal. Retrieved 19 October 2018.